Sometimes you just want to kick back, relax, and learn something new. 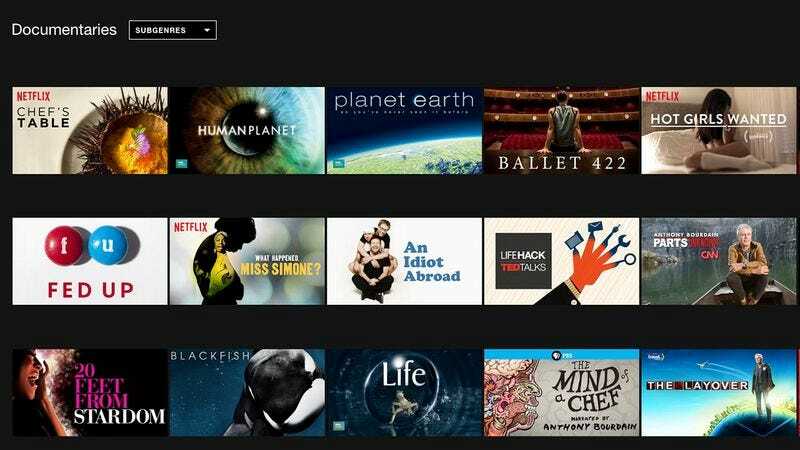 Here are eight Netflix documentaries that you definitely don’t want to miss. 1. Garnish Placers (2009): This fascinating documentary spotlights the garnish placers in some of New York City’s most high-end restaurants. Fans of the films Whipped-Creamers and Pepper Graters will love this flick. 2. Ken Burns’ ‘The Civil War’ Again (1997): Ken Burns’ nine-part miniseries chronicling the American Civil War is widely considered a staple of the documentary form and one of the director’s finest films. His follow-up, Ken Burns’ ‘The Civil War’ Again, is that again. 3. We Put Mashed Potatoes In Our Shoes (1971): The 1961 Cincinnati Reds were poised to win the World Series against the Yankees. But then, something happened. We Put Mashed Potatoes In Our Shoes is the story of that incredible Cincinnati team and the terrible decision that ultimately cost them the World Series. 4. Narrated By Stephen Fry (2002): With narration by Stephen Fry, this delightful documentary is narrated by Stephen Fry. 5. Horse Spookers (2008): This captivating doc about the Welsh sport of competitive horse spooking took home the Grand Jury Prize at Sundance in 2009. 6. Murdertopia (1989): A documentary about a place called Murdertopia that apparently exists. Jesus Christ. Good thing you don’t live there, right? 7. Chorbsky (1994): Widely hailed as the definitive documentary about Chorbsky, this in-depth 190-minute film explores everything Chorbsky with no holds barred. No matter what you thought about Chorbsky before, prepare to have your point of view challenged. 8. Two Days in April (2007): Who cares what this is about? With a title like that, you know you’re gonna watch it.